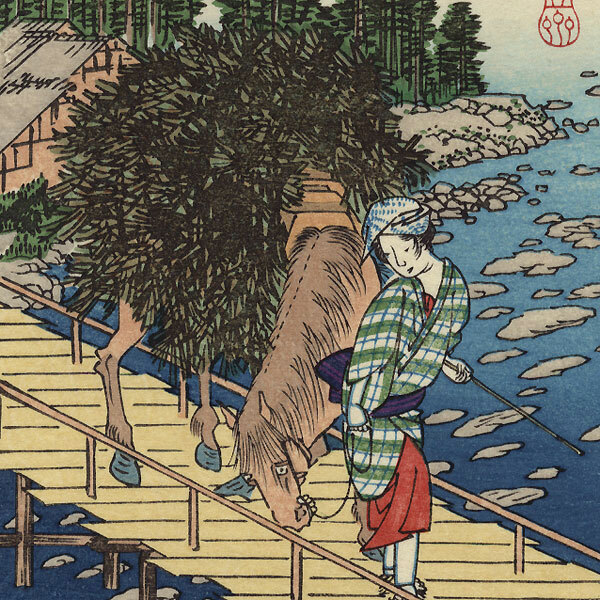 Kozuke Province, Miyogizan - Terrific design of a peasant leading her horse across a narrow wooden bridge above a rocky river. The animal is heavily loaded down with piles of brush for firewood. The woman walks along slowly, a pipe in one hand, looking back over her shoulder as the horse pauses. Mountains rise in the distance, a cluster of green foliage outlining the tops. Beautiful shading in the sky and water. Condition - This print with excellent color and detail as shown. Small tear across corner, repaired. Slight toning. Slight toning and spotting inside folder. Please note, each print is "tipped in" to the windowed paper presentation folder with two very small spots of wheat paste at the upper reverse corners, exactly as originally produced. 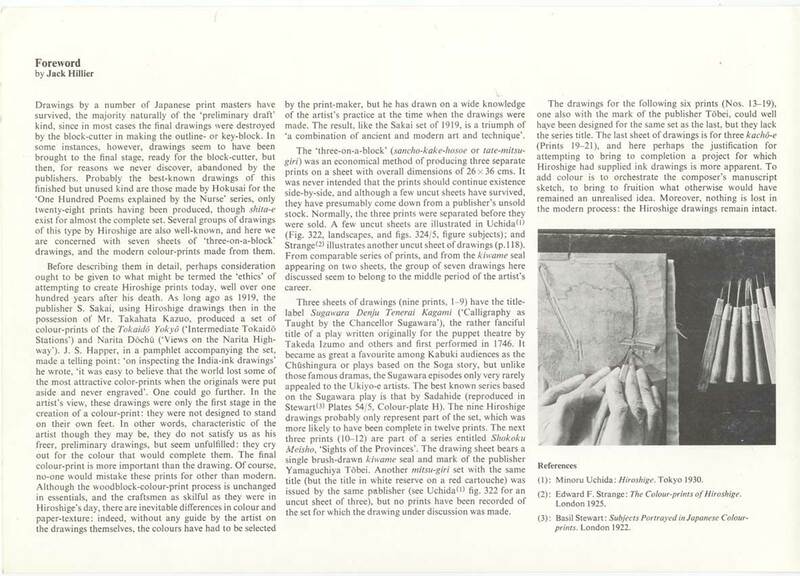 The print can be easily removed by the collector if desired.